Whenever you watch a video on YouTube it is highly likely that it has gone through some level of editing process before being uploaded on the internet. Video editing is the new big thing and to help you with that we have a ton of video editing tools out there and we bring to you one such tool. 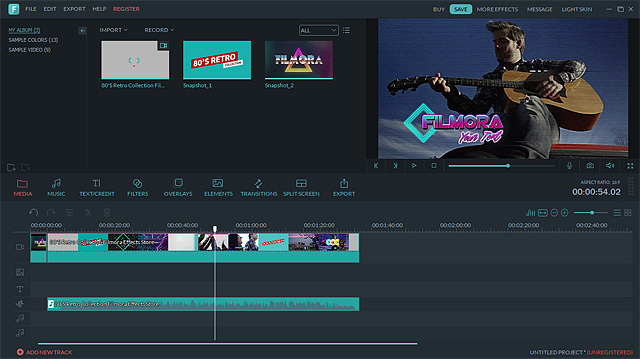 Filmora by Wondershare is an amazing, easy to use and overall elegant video editing tool created keeping in mind the needs of a beginner or casual video editor. 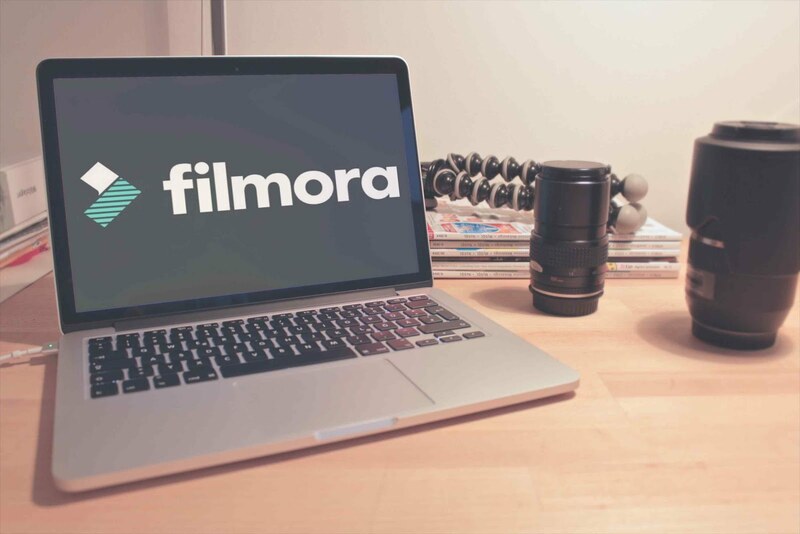 Filmora is brought to you by Wondershare which has an amazing reputation in the Mac Softwares, infact Filmora is marketed by the company as a possible replacement for iMovie and Windows Movie Maker. It is is a very easy to understand video editor targeted mainly to those who are not willing to spend their time learning an advanced video editing software. It has a pleasant and clean User Interface. As soon as you open the software you are greeted with four different editing modes Easy mode, Action Cam, Full editor and Instant cutter. Each mode is used to cater different types of editing demands. As the name suggests it is the easiest way of editing a video, all you have to do is import the clips, select music and themes from a default list and voila!! The video has been edited in just a few minutes. Although you don’t have a lot of control here as Filmora automatically make the video for you. But this mode is useful if your project is to be done in a limited time frame. The action cam mode allows you to work on a single clip at a time, you can’t even join or trim clips. The action mode comes with three types of tools, namely fix, Speed and color. Fix: It includes Stabilization, removing of noise and fisheye correction. Speed: It includes increasing/decreasing of speed, adding freeze frames and the repeat feature. Color: It includes saturation, temperature, tint, brightness and contrast adjustments. As the name suggests, it handles all the cutting, merging and trimming of video clips. You can make a new video clip by adding segments into clips but cannot cut the clips explicitly. The only problem that I found is that when you change modes the clip that you were working on is removed from the source tray. For example, if I change from trim mode to merge mode then the video clip that I was working on the trim mode is deleted or removed from the source tray. When you enter this mode and if you have used a video editor before, you will get a familiar view of a three-panel layout, with source content, video preview, and timeline. The controls are easy and work with basic drag and drop. It can load multiple clips for editing at the same time. You can zoom your tracks in the timeline, add amazing text effects, music and audio effects and many more such editing options are made easy by filmora. It is easy-to-use, with amazing interface and controls. It supports 4K resolution editing. It supports multiple output formats like AVI, MP4, FLV, MKV, MOV, WMV and GIF. You can instantly upload your video to Facebook and YouTube and even burn it to a CD from the software itself. It is perfect for beginners with low budget. No matter how easy the software may be but it may not fulfill all the needs of a professional. It is very quick and fast but still lacks many features as compared to Premiere Pro or Final Cut Pro. In the free version it adds a watermark to the video made by the user. Filmora video editor is really a great product specially for the beginner or casual video editors. It comes with the legacy of Wondershare and therefore has a great after sale service like 24/7 technical support. All in all it is a great deal for $39.99 (1 year licence for windows). Tell us your views in the comment section and share this review with your friends and family, telling them about Filmora. DEAL SPECIAL: You can check out their ongoing Holiday Sale here.